In this volume, we examine the challenges and opportunities created by global migration at the start of the 21st century. Our focus extends beyond economic impact to questions of international law, human rights, and social and political incorporation. We examine immigrant outcomes and policy questions at the global, national, and local levels. Our primary purpose is to connect ethical, legal, and social science scholarship from a variety of disciplines in order to raise questions and generate new insights regarding patterns of migration and the design of useful policy. 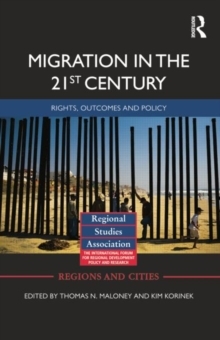 While the book incorporates studies of the evolution of immigration law globally and over the very long term, as well as considerations of the magnitude and determinants of immigrant flows at the global level, it places particular emphasis on the growth of immigration to the United States in the 1990s and early 2000s and provides new insights on the complex relationships between federal and state politics and regulation, popular misconceptions about the economic and social impacts of immigration, and the status of 'undocumented' immigrants.